For Bishop Noll Institute valedictorian Megan Sullivan, her work ethic and mental strength translated from sports to science and everything in between. These qualities made her a strong and competitive student and athlete and allowed her to shine in mind, body and soul. Sullivan, of Griffith and a St. Mary’s School alumna, was honored to be named valedictorian and said she worked hard and took honors and AP classes throughout her four years at Noll. “Originally it was a strong work ethic and that was just me, but when I realized that I was in contention for (valedictorian), I made a more conscious effort to go for it,” she said. Sullivan especially enjoyed science classes and said biology teacher Ms. Becky Dostatni, Bishop Noll class of 2000, was a favorite teacher. “She made me love biology and inspired me to want to pursue something in that field,” said Sullivan, who is planning to attend the University of Notre Dame. “She really wants to learn to improve herself and is more than willing to put forth the effort necessary to do that,” Dostatni said. “Megan expressed her interest in pursuing a career in science and medicine. She was one of my strongest science students last year, and will truly excel in the fields of science and medicine,” Dostatni said. In addition to her classroom successes, Sullivan served as president of the National Honor Society and as a Student Ambassador, Spell Bowl Team captain, retreat leader, Biology Club member and National Speech and Debate Honor Society member. She was also chosen by her peers to represent Noll as this year’s Homecoming queen. 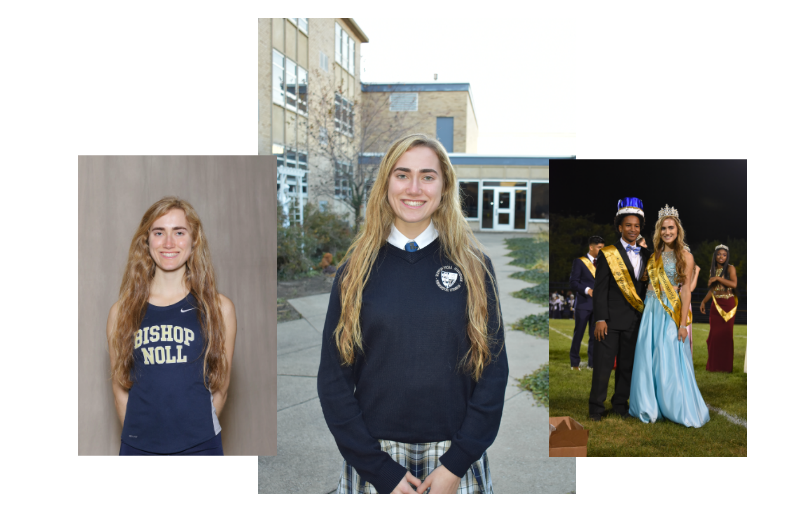 Juggling academics, clubs and sports took a lot of sacrifice and time management but attending Bishop Noll and having all of these opportunities helped her become a well-rounded person, ready for college and the real world. “It was hard during swim season because I knew I had to keep my running up for track season … Constantly, I have to be really focused,” Sullivan said. That focus helped earn her 13 varsity letters in her four years. She was captain of the soccer, cross country and track teams and was also on the swim team. She was named an MVP in all her sports and made it to Regionals in track each year she competed. As a senior, she made it to Semi-State in cross country. As a freshman, she played varsity basketball. 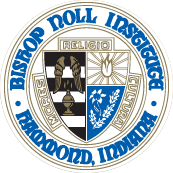 “The best part about Bishop Noll is that it is the perfect size to allow students to become well rounded individuals,” Sullivan said. “At a larger school I may have been forced to focus on one sport or have to pick being involved on an academic team over other extracurriculars. Many nights I went from cross country practice to a soccer game and then to DC theology class at Calumet College. I was able to be involved in many clubs, sports teams, and all the while growing in my faith and discovering my true interests. Her Catholic education played a role in establishing her moral standards, Sullivan said and she was able to participate in a wide range of service opportunities. Without her 13 years of Catholic education, she would not be the same person, she said.